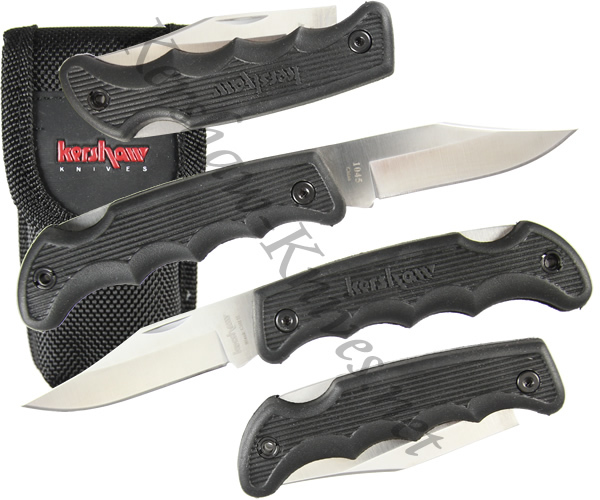 The Kershaw Black Colt II knife model 1045 is a traditional lockback folder with an attitude. The blade is constructed of tough 8CR13MoV stainless steel for durability and reliable edge retention. The handle has aggressive finger grooves to allow you to get a good grip. The co-polymer material helps you maintain your grip in all conditions. A nylon sheath is included with the Black Colt II.